The Income Tax Department also referred to as IT Department, is a government agency undertaking direct tax collection of the Government of India. It functions under the Department of Revenue of the Ministry of Finance. 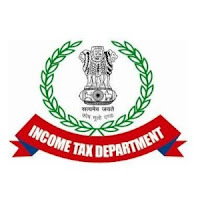 Applicants who have completed 10th / 12th / Degree or equivalent from a recognized Institute for Income Tax Sarkari Naukri 2019. Eligible & Interested candidates can download the Notification & Application form on the Official website page at www.incometaxindia.gov.in Income Tax Sarkari Naukri 2019.